Bishop Kennedy named Episcopal Vicar for the New Evangelization. Published 1/20/2012. Local. BRAINTREE -- Bishop Arthur L. Kennedy has been named Episcopal Vicar for the New Evangelization of the Archdiocese of Boston, Cardinal Seán P. O'Malley announced Jan. 18. Bishop Kennedy, who currently serves as rector of St. John's Seminary, will assume his new position July 1. The same day, the cardinal named Worcester priest and seminary professor Msgr. James P. Moroney to succeed Bishop Kennedy as rector of St. John's. "Bishop Kennedy and Msgr. Moroney have been effective and committed leaders in the Church. We are blessed by their willingness to assume these new roles in their priestly ministry and for their dedication to helping the Church build a faith community of love and compassion for all of God's people," Cardinal O'Malley said. "I am grateful to Cardinal Seán for the opportunity to undertake this new office on his behalf and that of the Archdiocese of Boston. It has been a privilege to serve as rector of St. John's Seminary these past five years and to be part of the exciting rebirth of this wonderful institution, a rebirth made possible because of the cardinal's efforts and commitment to vocations and faith formation. We have a unique opportunity to continue to engage an aggressive and spiritual rebirth of our local Church and I hope to be of some assistance to the cardinal in meeting this goal he has established for the archdiocese," Bishop Kennedy said. 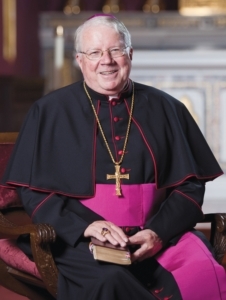 Bishop Kennedy has served as rector of St. John's Seminary since July 2007. In those five years he has been instrumental in significantly increasing the number of seminarians enrolled, advancing the cardinal's goal of expanding the seminary to a regional presence, enhancing the seminary's status of national prominence in its academic and faith formation programs while establishing new programs that prepare seminarians and lay leaders for the future. In March, the cardinal and Bishop Kennedy announced the establishment of the new institute of faith formation at St. John's Seminary. 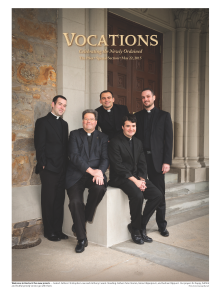 Embracing and expanding the seminary's current offerings for the laity as well as for permanent deacons and professed religious, the new institute is called the Theological Institute for the New Evangelization, know as TINE. The TINE program includes Master of Arts in Ministry; certificates in catechesis, Scripture, and apologetics; a new degree program (the Master of Theological Studies for the New Evangelization); and scholarship funding for these programs through the Promise for Tomorrow Fund. Bishop Kennedy was ordained a priest for the Archdiocese of Boston in 1966 and spent the following eight years of service at parishes in Methuen and East Boston. In 1974 Cardinal Medeiros granted him permission him to accept a position as a member of the theology faculty at the University of St. Thomas in St. Paul, Minn. When the university later established a Catholic Studies program, Bishop Kennedy was named a faculty member in that department, and was also director of Master of Arts in theology program at St. Paul Seminary. In more recent years, he has served as chair of the Theology Department at St. Thomas and Executive Director of the United States Conference of Catholic Bishops Secretariat for Ecumenical and Interreligious Affairs. 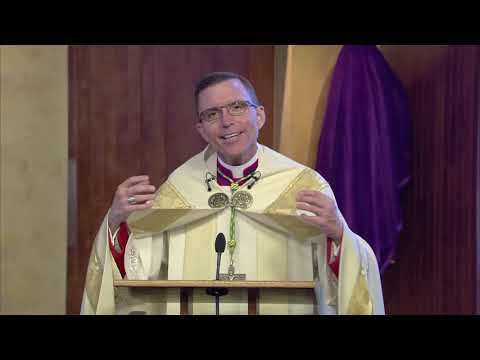 In 2010, he was ordained by Cardinal O'Malley as an auxiliary Bishop of the Archdiocese of Boston along with auxiliary Bishop Peter Bishop Peter J. Uglietto. Bishop Kennedy will have an office at the Pastoral Center. "We look forward to the new and creative ways in which Bishop Kennedy will bring his vast experience in promoting the Catholic Faith in universities and seminaries to the service of evangelization in the Archdiocese of Boston," Cardinal O'Malley said. "I am fully confident that his indispensable role in the revitalization of St. John's Seminary over the past five years will serve as a prelude to a revitalization of catechetical efforts and other forms of promotion of Catholic identity throughout the Archdiocese of Boston."